The Rideau Canal has been an important part of Ottawa throughout its history, and has shaped and been shaped by the city. Rideau Canal was originally constructed as a military supply route, the canal now lies at the recreational heart of Canada’s Capital and is enjoyed as a national treasure by all. Also the Rideau Canal is a National Historic Site of Canada and a Ontario’s only UNESCO World Heritage Site. It is the most outstanding slackwater canal system in the world and one of the first designed for steam-powered vessels. It is an exceptional example of the transfer of European transportation technology and its adaptation to North America. The Rideau Canal was built after the War of 1812 to serve in the defence of Upper Canada. Fearing an American blockade on the St. Lawrence River, the British army constructed this alternative waterway, connected by 47 locks, to provide for the safe transport of troops and supplies between Montreal and Kingston. 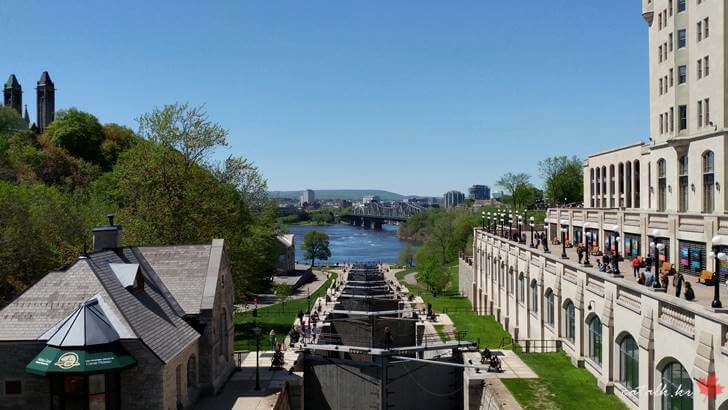 The Rideau Canal is about 125 miles (200 kilometres) long and it’s historical locks are still in operation today. In 1826, Lieutenant-Colonel John By was sent by the British government to build a canal from the Ottawa River to Lake Ontario. As construction of the Rideau Canal progressed, a small town began to flourish in the surrounding wilderness. Colonel By played an important role in defining the layout of the streets and neighbourhoods in this growing community of canal workers. In recognition of his contribution, the settlement was called Bytown. 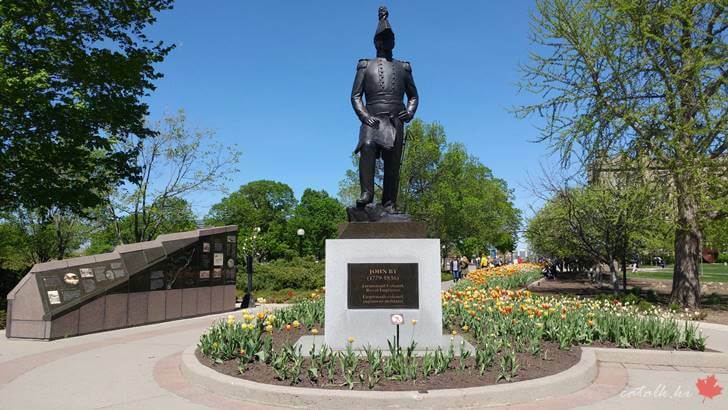 Overlooking his Rideau Canal, Lieutenant-Colonel John By is commemorated at the Major’s Hill Park as the founding father of Ottawa, Canada’s capital. Stonemasons engineers and other canal workers came from as far away as Scotland, England and Ireland and decided to settle in the region. By 1855, Bytown had become a city and had adopted a new name: Ottawa. With its wide boulevards and thriving lumber industry, Ottawa was quickly becoming the industrial and commercial centre that Colonel By had so carefully planned for. Despite harsh working conditions, Colonel By and his workforce completed this daunting assignment in just six years. The finished product – a navigable waterway carved out of over 200 km of bush, swamp and rock – was truly a remarkable feat of engineering. 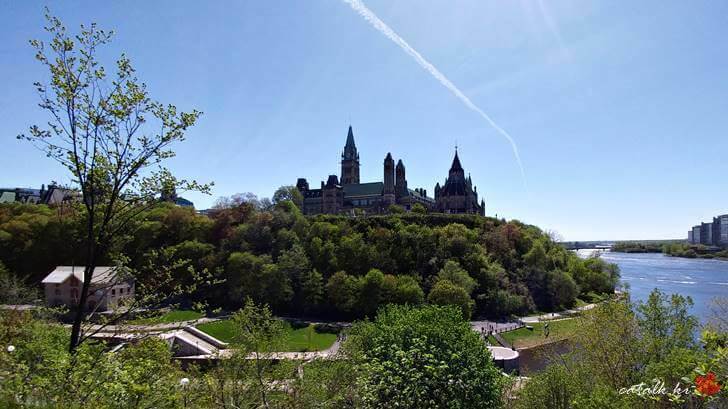 Despite its simple beginnings as a rough construction camp, Ottawa was selected, in 1857, to become the capital of a maturing Canada, Colonel John By is remembered today not only for his impressive Rideau Canal, but also for the founding of Bytown, Canada’s future national capital.